Quipmo is the Surf, Bike and Snow peer to peer marketplace that lets individuals and stores rent their gear to like minded travellers and locals who share a passion for adventure. As a Quipmo user you can make money by renting the gear you own to others and have access to any gear you don’t own or have access to (i.e. whilst travelling) by renting it off someone just like you. Listing gear on Quipmo is free and users may list and browse as many items as they like. Quipmo charges a service fee of 20% on all rentals completed through the site. The service fee is deducted from the final distribution to an Owner when the rental is completed. For example, if an item is rented out for 2 days at $50 per day, the service fee would be calculated as 2 x $50 x 20% = $20. How/where do I sign up? Signing up is simple. Just follow the link at the top of this page. All you need is an email or your facebook login details. By you, the Owner. We encourage you to look around the site before listing to see what similar items are listed for. Prices can be set on an hourly, daily, weekly or monthly basis. 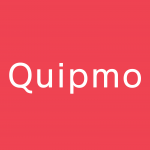 Read more about how Quipmo can be used by Shops here. Read more FAQ’s for Owners here. Read more FAQ’s for Renters here. Have more questions? We’d love to hear from you. Send us an Email or find out more from our Help Centre!